Canvas Giclees are on high quality Parrot UltraWhite Matte Canvas, an 11oz pH-Neutral cotton/polyester fine art textured substrate with a UV protective surface coating. Paper Giclees are on Somerset Velvet paper, acid free & archival. Edition Sizes: Paper 75, Medium Canvas 75, Large Canvas 75, Collector's Choice Edition 75 (collector may choose preferred size and whether printed on canvas or paper. 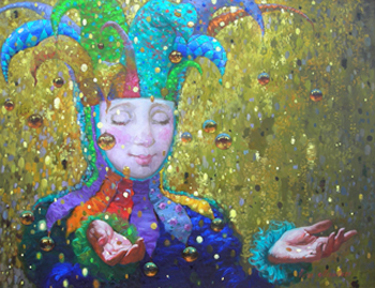 Signed and numbered by Victor Nizovtsev. Artist Proofs: 10 AP's for each edition except Collector's Choice edition. Add $100 for Artist Proof. Prices subject to change.